Oh what a day, what a lovely day for a new official game mat for Gaslands! Splendid graphics, exciting track layout numerously tested to match die-cast car models. And this track is available as 4×4 or 6×4 option on premium mousepad / neoprene material. 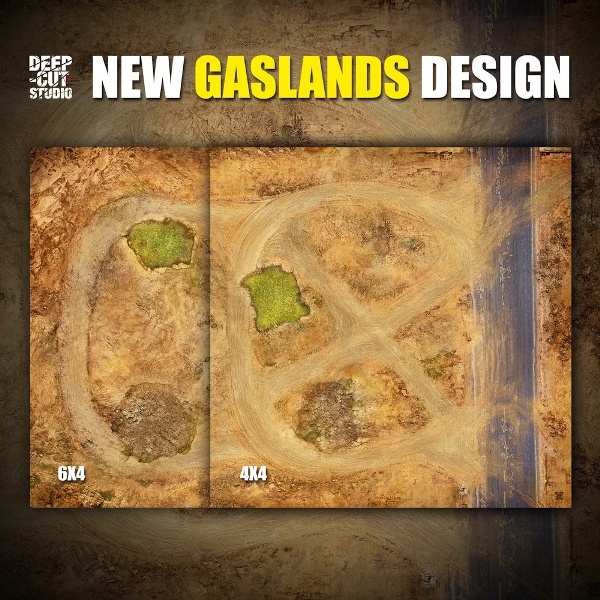 Fire up your engines, load your guns, it all starts at www.deepcutstudio.com – home of game mats.